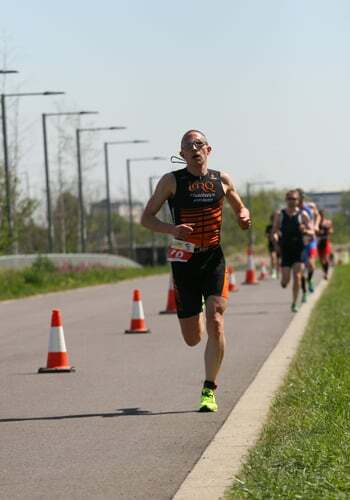 Nick put in a storming 1st run and held things together for the bike to take Silver overall at the Dragon Slayer Duathlon held at the Queen Elizabeth Olympic Park Cycle Circuit in London. With temperatures running into the mid 20s and a sizzling midday start, this was always going to be a battle of attrition. With this in mind, Nick put in a specific race session the day before to ensure his first experience of racing “hot” this year went well. It worked. The first run (3 miles) was tough in the heat, but Nick managed to put a good distance into the main field. Out on the 15 mile bike, he soon learnt the rolling corners of the Olympic Cycle Circuit and despite losing 2 places he managed to gain 1 back on the final 2 mile run. 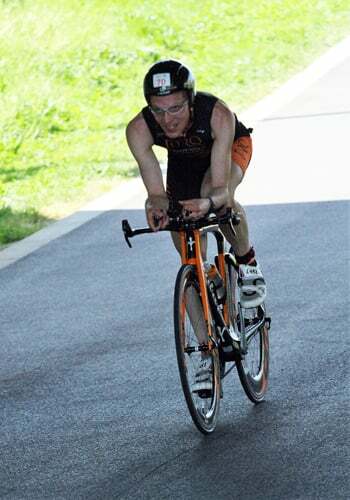 Only 4 weeks out from the World Championships, Nick’s happy that his bike form is building strength and that he gained experience of both circuit style racing and working hard in the heat.